Can a trip to the park save your life? Considering a trip to the park this weekend? It could save your life. (NEW YORK) — Considering a trip to the park this weekend? It could save your life. According to new research from the American Heart Association, people who spend time in neighborhoods with green space may have better blood vessel health and lower levels of biomarkers that indicate high stress and high risk of heart attacks or stroke. 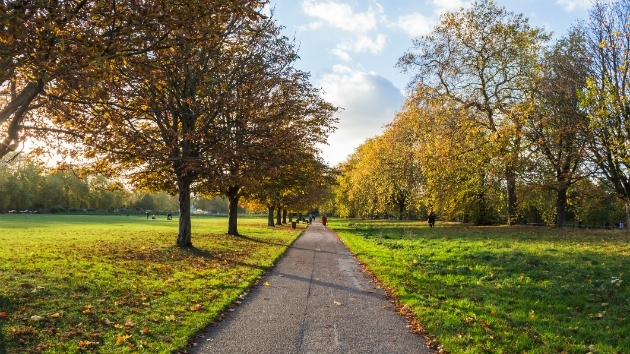 In the study, researchers set out to understand the effect of green space on one’s heart. They collected blood and urine samples from over 400 people during a five-year span and assessed for markers of blood vessel injury and heart disease risk. They compared these results with the Normalized Difference Vegetation Index (NDVI), a tool from the U.S. Geological Survey to categorize levels of vegetation in an area. The researchers found that in areas of higher greenery, people had 5 to 10 percent lower urinary levels of epinephrine — a marker of stress and major player in the sympathetic nervous system, which controls the stress response. High activity of the sympathetic nervous system has been shown to cause changes in blood pressure, clotting ability and inflammation — all major risk factors to heart disease. They also found, through blood tests, that this same group had better ability to repair blood vessels.